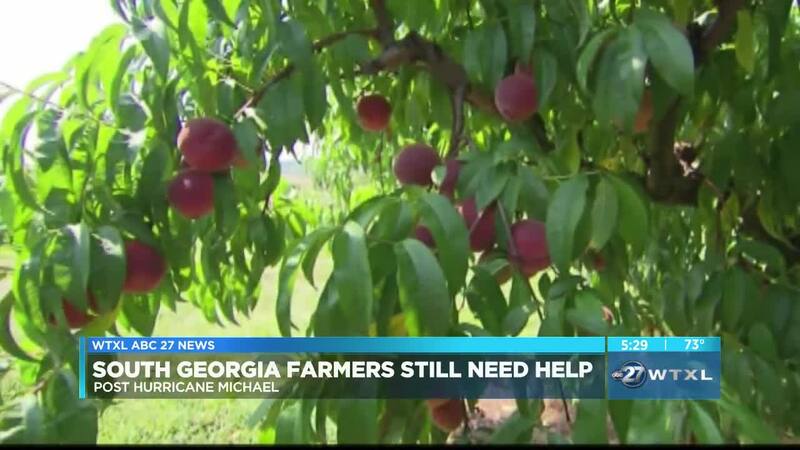 (WTXL) — It's been more than six months since Hurricane Michael made landfall, and many Georgia farmers are still feeling the impacts of the devastating storm. Last week, Governor Brian Kemp and other state leaders blasted Congress over its failure to approve a package of disaster relief measures. Kemp said that the $14 billion aid package is desperately needed by farmers and others who suffered losses when Hurricane Michael swept across the state in October. Farmers agree they need help, and fast. "We have farmers right, who are struggling in the ground. They don't have financing and we aren't asking for a hand out, and I told Sonny Perdue this, we just need a little relief," said Joe Livingston, who works at a lumber company. Livingston said if help is not given to Georgia's producers and farmers soon, it will impact the entire state. "Agriculture is Georgia's biggest industry and the forest industry in Georgia is in the billions of dollars. Ignoring those economies is not going to solve a problem," said Livingston. Hurricane Michael dealt $2.5 billion in damage to Georgia crops alone. According to Georgia.gov , Georgia has received no disaster relief funds appropriated by Congress since the storm's devastating damage.